Ogden • There is no body camera footage of a Tuesday afternoon police shooting in Ogden that killed a Utah teenager. 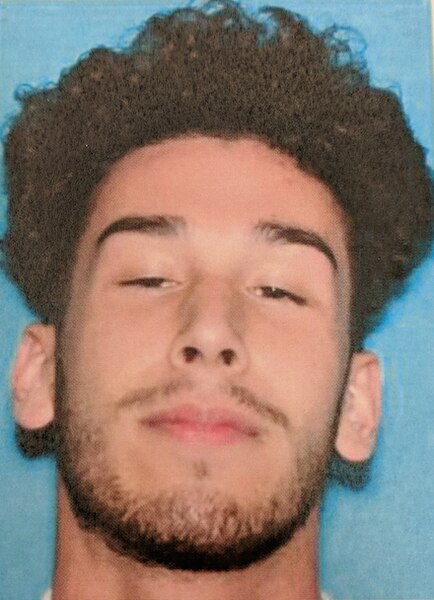 An Ogden officer shot 18-year-old Anthony Ray Borden-Cortez after police say the teen pointed a BB gun at the officer following a car chase. Deputy Police Chief Eric Young said Wednesday that the detective who fired the fatal shots was not wearing a body camera, and the only footage from Tuesday’s shooting is from other officers who arrived after the shots were fired. Young said the officer was not wearing a recording device because he had switched to a heavier steel plate vest that day “due to the risk of the situation” as he was investigating a tip about a wanted armed robbery suspect. The heavier vest did not have all of the officer’s equipment, Young said. Police were looking for suspects in a series of robberies in Weber and Davis counties — including one where a 7-Eleven clerk was pistol-whipped — when they received information that a stolen car believed to be connected was parked at an apartment complex in the 300 block of 7th Street. The officers were told the suspects were “armed, dangerous and willing to shoot it out with officers,” Young said. Officers set up a “device” to deflate the car’s tire and watched until Borden-Cortez — one of the robbery suspects — came outside and got into the car, Young said. The teen drove the car on the deflated tire, with officers in pursuit, to 12th Street and Depot Drive, where the car collided with a police cruiser and two other cars, Young said. It then came to a stop. A detective ordered Borden-Cortez to get out of the car, Young said, but the teen instead pointed a gun at the officer. “The officer fired several shots, striking the suspect,” Young said at a Wednesday news conference. Borden-Cortez died at a hospital. Young said investigators later discovered the weapon Borden-Cortez had reportedly pointed was actually a rifle-style BB gun, but noted it looked like a more deadly firearm. The Ogden teenager had no previous criminal history, according to a search of Utah court records. Ogden police described him as being “wanted for questioning” in the armed robberies. Police were still looking for at least one other suspect in the robberies, which took place during the past two weeks, Young said. This is the second fatal shooting by Ogden officers in less than a week, and the third in less than a month. Young said the number of shootings in such a short time was coincidence, and noted two of the suspects killed by police had warrants from other states and didn’t live in the city. “They just happened to have incidents they were involved in come to a head when they traveled into Ogden,” he said. On Friday, a woman flagged down officers who were on duty downtown and reported she had been kidnapped by a man she used to date. Richard Galvan, 37, had gone to her house, threatened her and forced her to drive him around Ogden, the woman told police — but he had gotten out of the car and walked away near 28th Street and Washington Boulevard, police said. Officers found Galvan at a city holiday light display. Police said Galvan shot at officers, who returned fire, killing him. City cameras captured the shootout. Less than a month earlier, on Nov. 9, Ogden police shot and killed 33-year-old Christopher William Parrish. An officer confronted Parrish, who was driving away from a Walmart after customers reported he was acting “manic and threatening” and saying he wanted to fight people, police said. The officer asked Parrish to get out of his car, but Parrish sped away, crashed his car in the road’s shoulder and ran into a nearby yard, police said. Parrish picked up a “softball-sized” rock and charged two officers who had chased him, “rapidly and violently” attacking them, police said. The officers tried using Tasers, but when those didn’t subdue Parrish, they fired their guns at him, killing him, police said. The officers in all three shootings are on paid leave until the Weber County attorney reviews the shootings to determine whether they were legally justified. Police in Utah have fired on at least 29 people so far in 2018, hitting 24 and killing 18 — more than any other year in recent memory. Tribune records of shootings by police go back 15 years.